I remember visiting the old Covent Garden Market for the first time: it brought tears to my eyes for it's beauty, pureness and fragrant air floating there. It was the day when I felt in love with flowers. 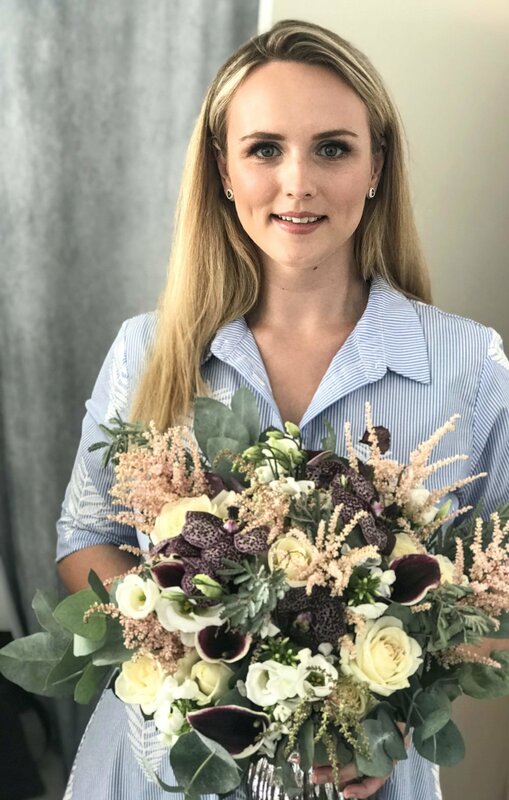 After completing my studies in Interior Architecture at ever vibrant London and working for Chanel Fashion House, I decided to leave my job to pursue my dream of becoming a floral designer- and I have never felt happier! The majority of my time is spent at my flower studio in North London, surrounded by my most previous blooms, foliage and fruits of nature. Ever since I was studying at art school, I love watercolour drawing and quick sketching which is always in hand when speaking about the flowers for your celebration. Drawing my inspiration from Nature and its changing seasons, I create simple yet luxurious and texturally inspired arrangements, by taking into consideration the aesthetics of the location and the mood of the occasion. I can create a variety of floral styles from rustic - just gathered wild garden style flowers, to chic and elegant centre pieces, as well as bridal bouquets, table arrangements, hanging installations, foliage frames or unique flower walls. My intention is to always create a bespoke arrangement to leave lasting memories. Traditional, modern, vintage or rustic – I have flower ideas to suit your occasion.